Speedy Wheels Desert Rat 2 is a traditional steel wheel finish with white and chrome accessories. The Desert Rat 2 is the industry's benchmark in steel wheels in terms of quality and load capacity range. Speedy Wheels Desert Rat 2 is a traditional steel wheel finish with white and chrome accessories. Black accessories now allow a complete blackout. 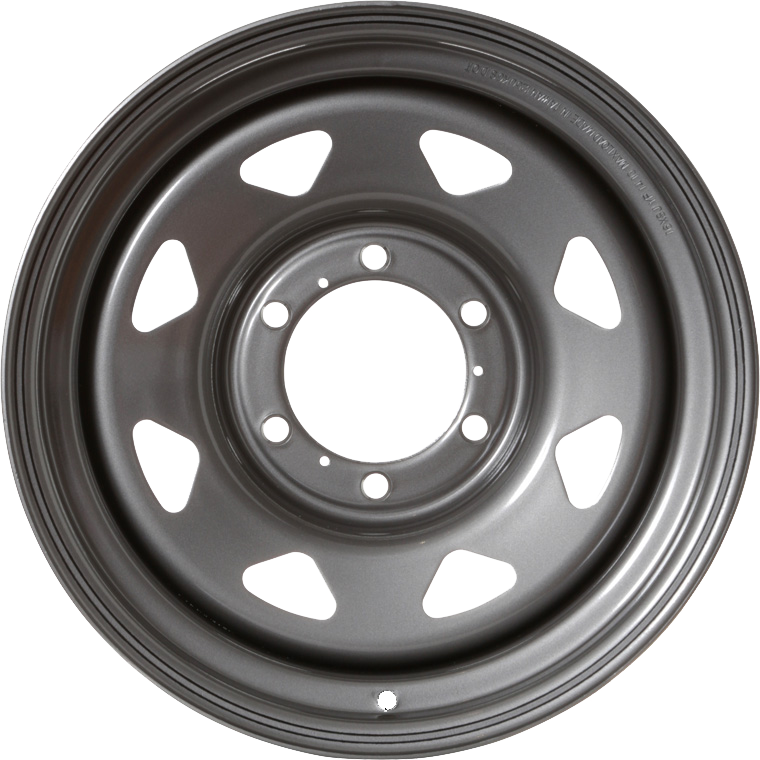 The Gunmetal finish provides consumers with a wheel more in keeping with an OE appearance. The Desert Rat 2 is the industry's benchmark in steel wheels in terms of quality, load capacity range (890 KG to 1250 KG dependent upon size) and balance trueness. Suitable for fitment to a wide range of modern and latter day 4WD vehicles, light commercial utility and SUV vehicles.